Our Clients Sell Cars Faster, and For More Money! Xpress Recon Dealership Services is now available in your area to administer value enhancement solutions to your inventory. A world-class automotive appearance paint chip, scratch repair, and detailing company that administers and licenses its technologically advanced auto reconditioning products and profit centered business solutions to auto detailers, dealerships, banks and wholesale auction houses nationwide. Does Your Car Have Road Rash? Lifetime Protection On Paint, Fabric, Leather, and Wheels ! Now Available in the USA. 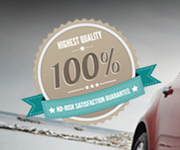 Offering Lifetime Guarantee Protection on Paint, Fabric, Leather and Alloy Wheels. Consumers have grown increasingly worried about the hidden dangers of viruses not only in the cars they drive, but also in the cars they buy. XpressRecon is proud to offer the industry’s best service satisfaction guarantee…on any service we perform on your vehicle. If we service one of your vehicles and you are not completely satisfied with our work, we will refund your money. Xpress Recon Dealership Services is a world-class automotive appearance paint chip, scratch repair, and detailing company that administers and licenses its technologically advanced auto reconditioning solutions to auto detailers, dealerships, banks and wholesale auction houses nationwide.